All pre-kindergarten students must be four years old on or before September 30, 2019. Early Childhood Department strives to provide enriching experiences for young children that will give the best possible start to school readiness. Early intervention, sound practice, and quality service are foundational principles to our programs. Children develop an approach to learning through social, physical, and emotional development, combined with ability levels and personal experiences. It is our goal to value each unique approach to learning and offer opportunities for extended growth. Exposing children to new and exciting subject matter, as well as building on past knowledge and experiences provide this great opportunity. The child’s openness, curiosity, attentiveness, imagination, temperament, and cultural diversity are all considered in each experience. Parents and guardians are integral parts of our programs. They are offered an opportunity to support the success of their child by participating in parent-teacher conferences, parent programs, volunteer programs, and home-school interventions. Community resources are also made available. Throughout the school year, great efforts are made to link school, family, and community. 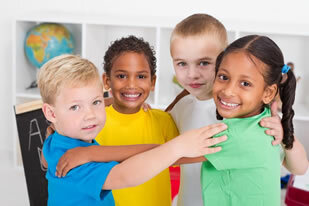 Pre-Kindergarten Program - Uniforms are not required, there is no charge to attend, and ALL SUPPLIES are provided. Please send your child with a clean change of clothes. Our goal is to help support families in as many ways as we can to propel your child's educational experience off to a great start! SY19-20 Students must be four on or before September 30 and selected by the eligibility criteria to participate. Students must be fully toilet trained and able to take care of their bathroom needs. Registration: Interested families must call 757-727-2448 to schedule a Pre-K registration appointment beginning February 19, 2019. Representatives will be available from 9:00AM - 4:00PM to accept calls. An appointment is needed to register and your child must be present at the time of registration. Child's Physical and Immunization Records are required to participate. Both forms should be given to the school once your child is accepted. Please call 727-2448 if your child has a current IEP or if you have questions. Hampton City Schools provides a comprehensive early childhood program for children who are four by September 30 who may experience or be exposed to factors that potentially could have a negative impact on their ability to learn. At each location - There is a qualified instructional and support staff, and a certified school nurse. A family service worker provides family support by connecting home and school activities. 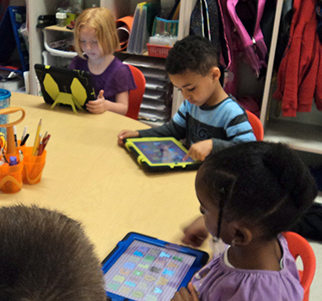 In the classroom- Each classroom has a certified early childhood teacher and an instructional assistant. A maximum of 18 students are in each classroom. A developmentally appropriate curriculum is used and aligned with the Virginia Foundation Blocks of Learning: Comprehensive Standards for Four-Year-Olds. Transportation- Transportation is provided to any Hampton resident. Yellow school buses provide transportation to and from home addresses, childcare providers or day care centers to each pre-kindergarten location. Pre-K Students with Special Needs: Any child 2-5 years of age needing services for speech, language, or developmental delays may be screened through Hampton City Schools Special Education. Please call 727-2405 for further information.